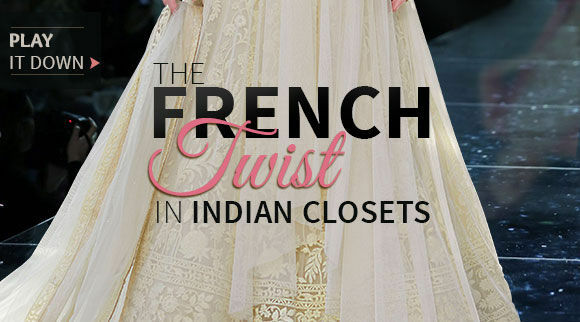 What creates waves in Paris does make ripples in Indian closets too. 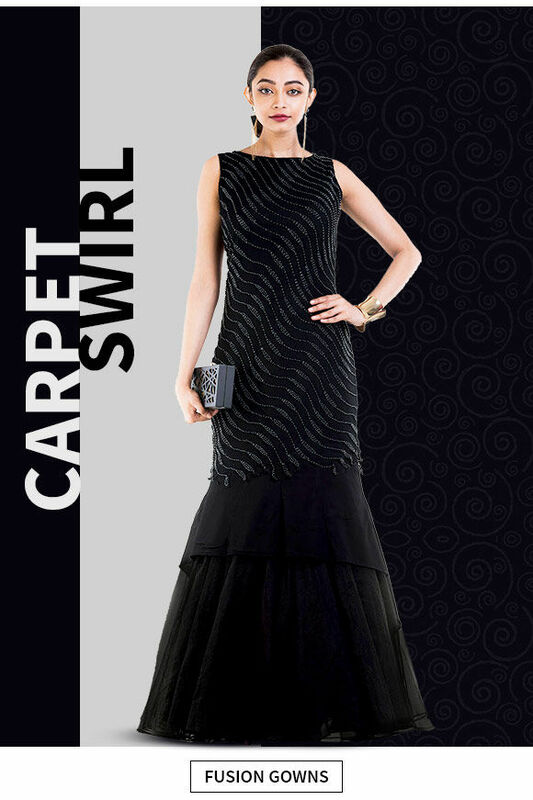 At Utsav Fashion, we have collated the nuances that are ruling over our range of ethnic lovelies. Whether you like it subtle or bold, floral or applique, neutral toned or sheer - there's a whole plethora of Parisian trends to choose from. Go global, lady. Life's a runway, after all. If Paris has its red Carpet Gowns, we have ours. Feast your eyes on our Indo Western Gowns with placement embroidery, rich colors and plush fall in Velvet, Net and Georgette. Subtle chic has always been a French attribute. So here's our beauties in Earthy Tones of beige, brown, grey and green. Applique Work is trending too. Check out the sarees and more! Naturalism took over the ramps, and inspired us to bring out our our Floral Print collection. So if you want to blossom in our fern-n-petal ensembles, look no further. Over the top is always relevant. 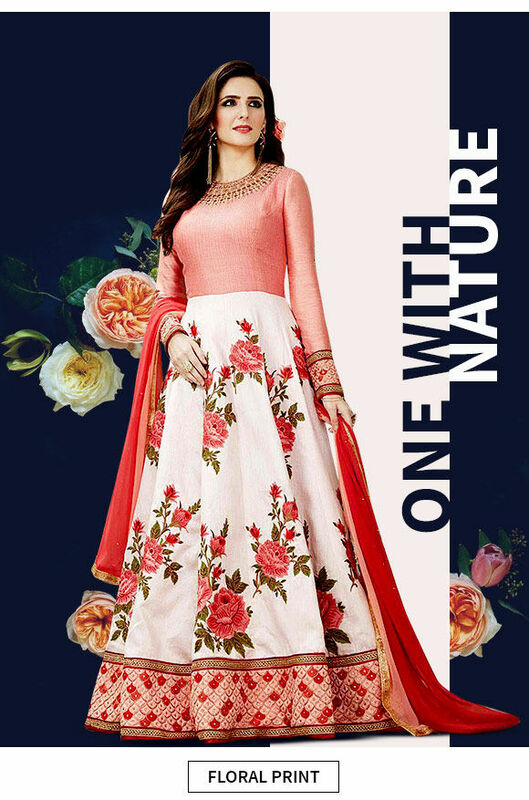 You'll be a showstopper in Sleeves of different length, elaborate embroidery and fabrics. Sarees with Threadwork are gorgeously magical. It doesn't harm to add some French mischief to our closet. Pick Sheer fabrics like Net and Chiffon for their sensuality. Cutwork is ever popular in Sarees, Lehengas and Blouses.